Carrying chalk is a requirement for your sweaty hands, but that doesn’t mean you can’t find special looking chalk bags to help express yourself. 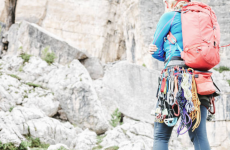 Are you bored as we are of all the same logo-ed chalk bag holders clipped to the back of everyone’s harness? We found some really great chalk bags that are both functional, and great conversation starters. Adorable chalk holders like these will not only carry your hand-drying materials, they will also make you and others smile. Pacman wasn’t just the most popular video game in the 80s, it’s continued to stay relevant throughout decades. If you loved Pacman, why not wear something different that people will recognize, and share some joy and nostalgia. 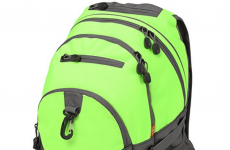 This Pacman Chalk Bag measures 7.5 inches tall, comes with an adjustable buckled waist band, and includes a zippered pocket that can hold most smaller cellphones. Floyd is fuzzy, cuddly, silly-looking, and adorable. Made by 8B+, they also assure us that Floyd is trustworthy, loyal, and sweet-natured. They also make a variety of other creatures into chalk bags, but Floyd was our favorite. Chalk Bag Floyd measures 7.5 inches tall, comes with an adjustable buckle waist band, and includes not one, but two chalk brush holders. We think they are eyebrows. 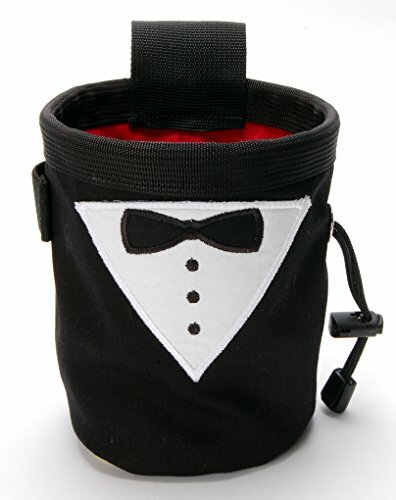 This Tuxedo Chalk Bag makes a perfect wedding gift or for any other celebration event. 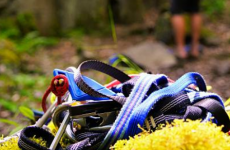 It’s also great for those times that you want to do your climbing in semi-formal or formal attire. 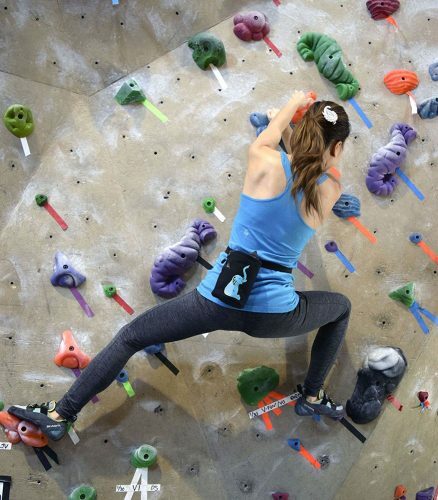 Okay, maybe you don’t particularly want to dress in formal gear for climbing, but this chalk bag is a great compromise for dressing up your slummy gym gear. 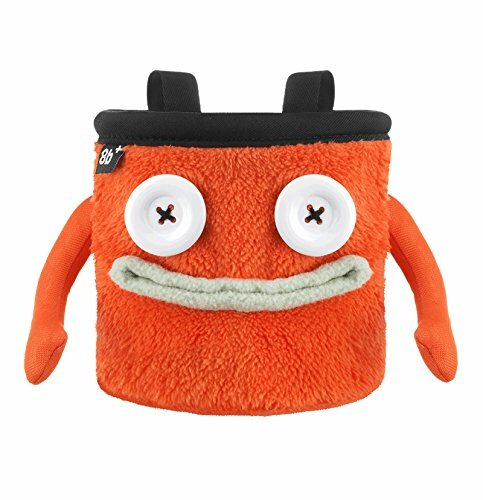 Pure Grit’s Tuxedo Celebration Chalk Bag is handcrafted in Boulder, Colorado, measures 5.5 inches tall, includes an adjustable waist band, and has an elastic brush holder.